The Home Office is one of the original great Departments of State and has one of the most challenging jobs in government. Its mission is fundamentally important: to keep Britain’s streets safe and its borders secure. Each and every member of Home Office staff plays a part in making that happen. With a budget of £10.7bn and a staffing profile of up to 32,000, the Home Office leads on immigration and passports, drugs policy, crime policy, counter-extremism and counter-terrorism and works to ensure visible, responsive and accountable policing in the UK. These issues are at the heart of the Government’s agenda. The challenges the Department faces are significant and can change rapidly in the global environment in which we operate. This makes it one of the most exciting and stimulating Departments to work in. 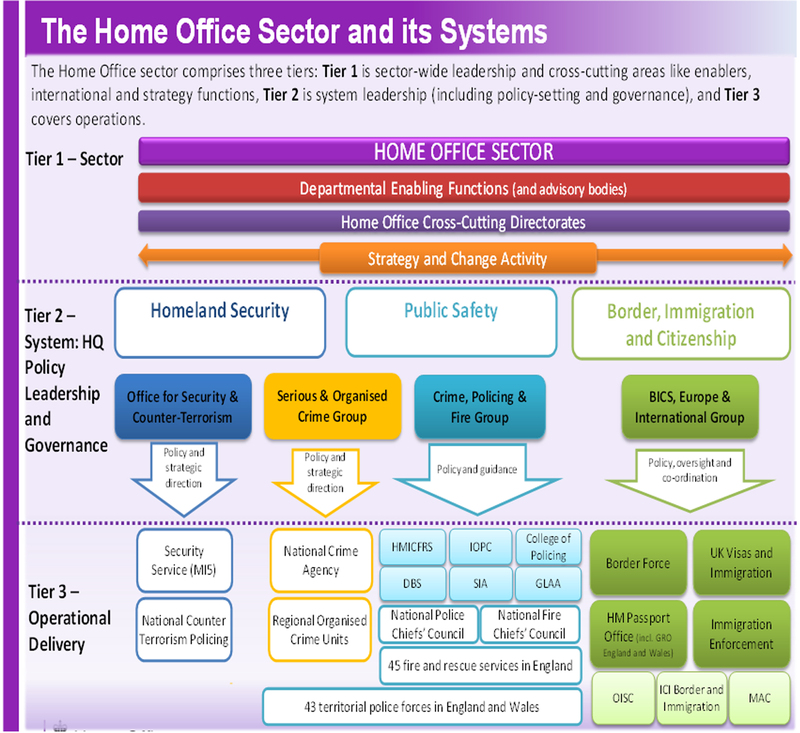 Further information on the key Directorates in the Home Office can be found below. Crime, Policing and Fire Group works with police, fire and rescue services and other partners, to reduce crime, vulnerability and extremism, keep citizens safe and become more efficient. Serious and Organised Crime Group, which works with the National Crime Agency, police, other departments, agencies and partner organisations to tackle serious and organised crime. A small strategic centre, which advises the Home Office board on strategy and direction, as well as the allocation of resources.